The Local Lodge is seeking approval for this motion under article 5, section D, second paragraph, a monthly expense allowance of up to $75.00 for each Shop Committee, or any other Local Lodge sponsored Committee member on the condition that their cell phones are utilized for the purpose of assisting members. A cell phone bill must be provided along with a filled out expense form and signed voucher. 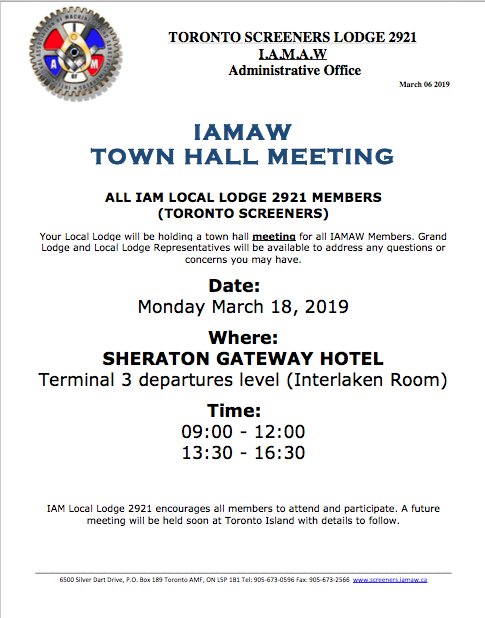 The Executive board has recommended this motion and is seeking the membership approval at the next monthly meeting which is scheduled for March 21, 2019. 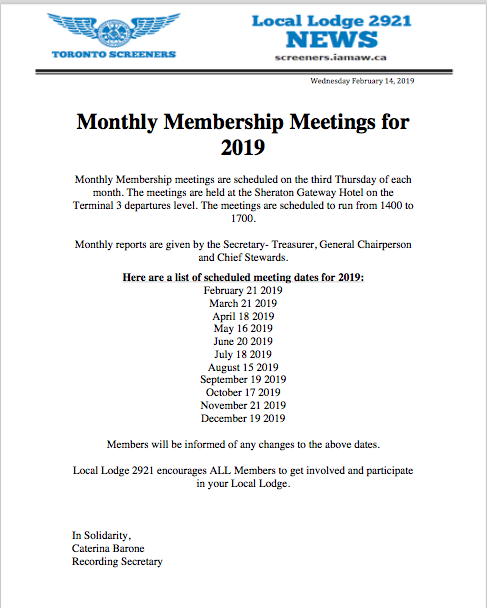 The Local Lodge is seeking approval for this motion under Article 5, section D, second paragraph, to purchase calendar/agenda’s for each member at a cost of $3.00 per booklet. Date of Nomination: February 21 2019 at Sheraton Gateway Hotel at 14:00 hrs. 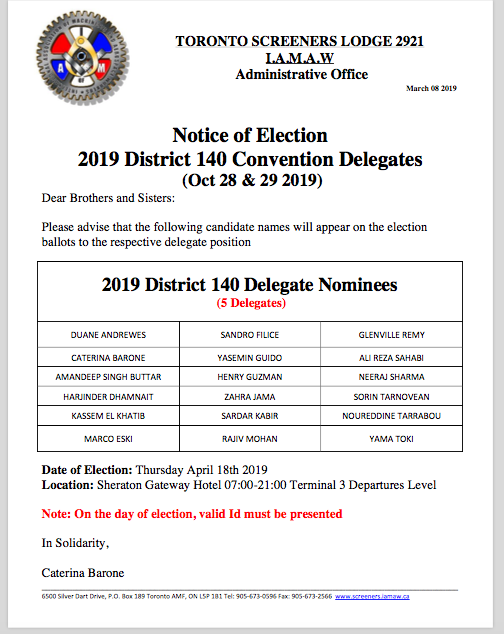 Date of Election: April 18 2019 at Sheraton Gateway Hotel at 0700-2100hrs. 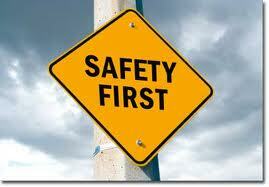 “Q: Can I talk about union matters openly with another employee at break, lunch time or before and after work?